Kuala Lumpur has been good to us during our first six months. At regular ‘mingle meetings’ we met up with people from all walks of life (working and non-working professionals from across the world) and attended outings like volunteering activities, hiking, camping and rafting around the Kuala Lumpur area. Francien and I met the friends of our oldest daughter Marcella, attended business councils and joined a cultural group. We were invited to local homes during Ramadan and Diwali, learning more about local customs. Understanding our surroundings e.g. people, history, culture and current issues is important to make us feel comfortable and ‘at home’. In doing all this, we made new friends and built a social circle. With more time on our hands we've both adopted a high fitness routine, keeping our body and mind healthy. At least three times a week you can find us in our fitness centre and cooling off in our outdoor olympic size pool. I am a regular runner in the park and together with our daughter trained and ran yet another half marathon! Traveling outside the country is easy and cheap with an excellent KL airport hub just a 45 minute taxi ride from our apartment. Asia is fascinatingly different from anything we have experienced before! (nature, religions, food, historic places, diverse people and at times chaos). But also inside Malaysia using a car traveling is comfortable with a good highway system in place. 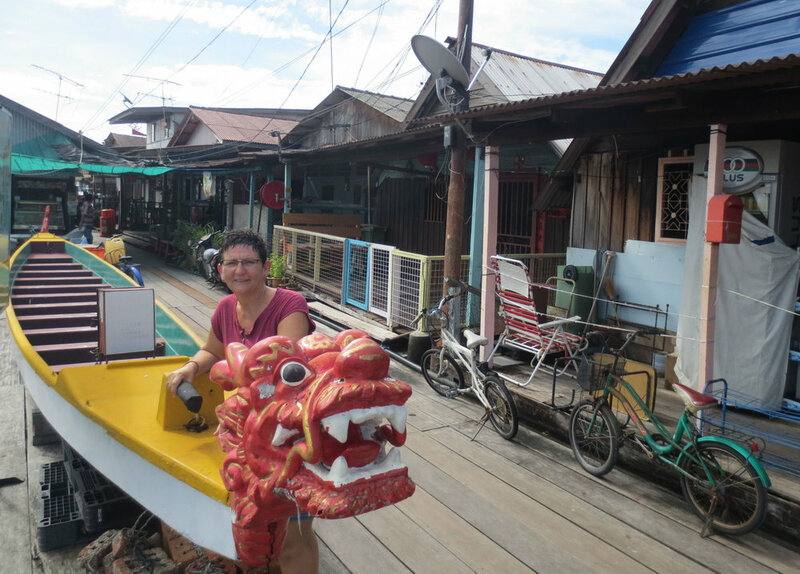 Recently we visited Kuantan, the National Elephant Sanctuary, and the island of Penang. 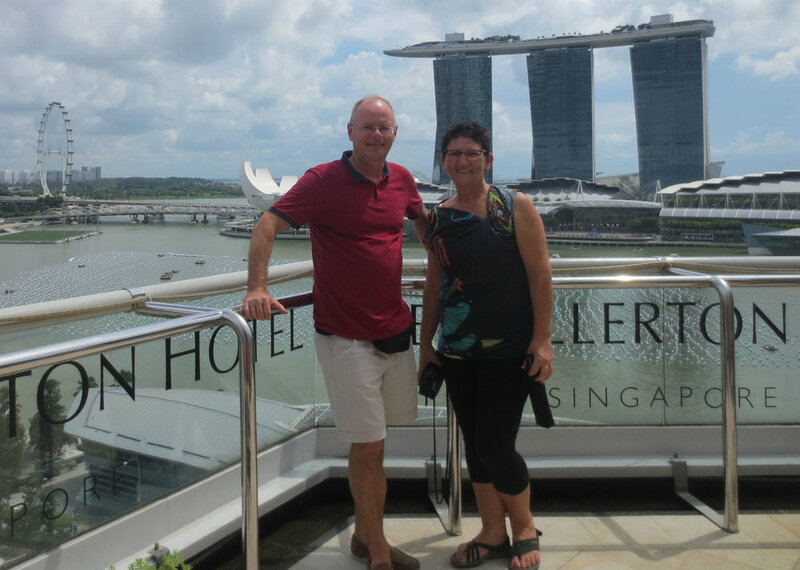 We also took a bus to visit Singapore. .... and all this in a scorching hot and steamy humid climate. Although rather monotonous (only more or less rain showers in late afternoons) we got used to this: outside activities are done in the early morning hours, carrying an umbrella comes in handy to protect both against the sunshine and to keep you dry during the afternoon rains. We learned to drink plenty of water and take things a bit slower! Needless to say that we enjoy seeing Marcella weekly, something we have not experienced that since she left home 13 years ago (and mostly living many time zones away). While very busy in Malaysia, we also actively maintained contact with ex-colleagues and friends in Saudi Arabia, USA, and Europe using the seemingly endless communication channels. This gives us an anchor in a rather rootless lifestyle. While very exciting, this required considerable energy, taking lots of initiatives and being willing to get out of our comfort zones (eating street food with questionable hygienic standards, driving in the city during rush-hour, being blanketed by humid air each time we leave the apartment). The annual smog shrouding huge parts of South East Asia due to the massive forest fires in Indonesia, we experienced much worse than expected. We hardly saw the sun for three months, making us travel to the South China Sea coast, Cambodia, Bali and Borneo just to breathe fresh air! As much as we enjoy being close to Marcella, the seven hours difference in time zones with our daughter Winnie living in Berlin makes it rather difficult to communicate with her. Can not wait to see her for Christmas! Also rather disappointing, a few people we just befriended have already left to go back home..... the expatriate turn-over we have seen so many times across the world! So where does this leave us in 2016? 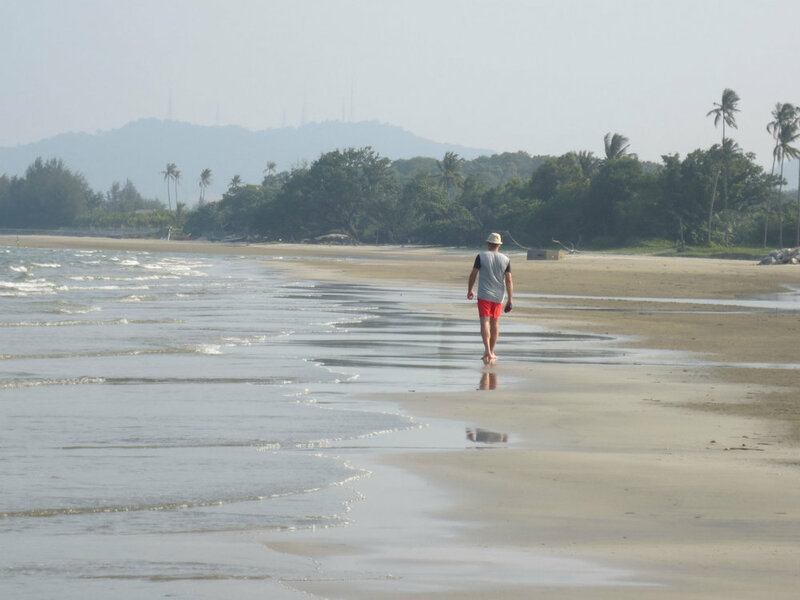 We will carry on exploring Asia (and avoid being in Malaysia during the smog September/October period) and maintain a high health and fitness routine. Francien will continue to build her go-to circle of friends as she has done so often before in our nomadic life. I do not miss a regular job, but certainly a part-time challenge would give myself a bit more structure in my life. Already evaluating a number of options, I am looking forward to a few mentoring and consulting assignments. Francien and I decided to apply for a residency visa so we can stay in Malaysia as long as we please. In fact, we want to stay at least until the end of 2016 and looking forward to no doubt another exciting year.